Agnes Mary Witts gave her next of kin as a Mrs W B Taylor from Cheshire. We have searched on Ancestry.com but can no firm evidence of her birth, marriage or death. We do however have her service record from The National Archives. 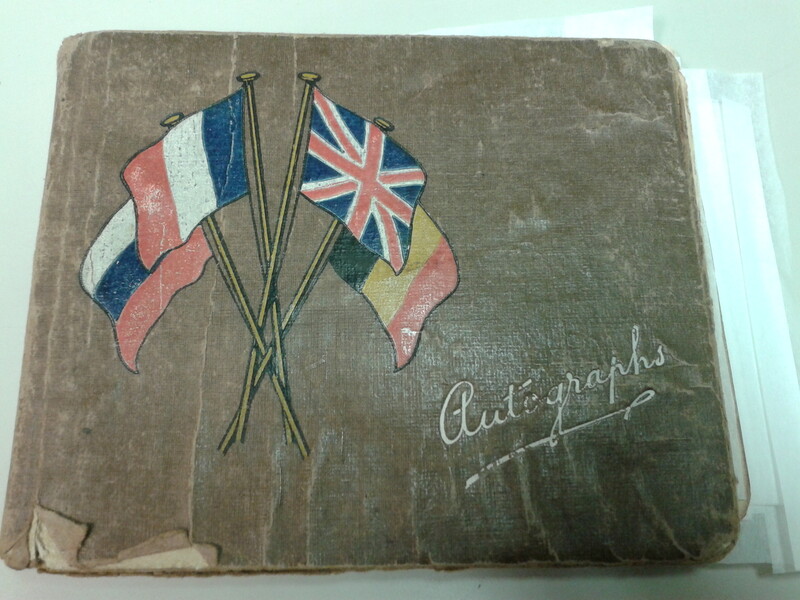 We used her autograph book which is in The British Red Cross Archives, to help us find soldiers who had been at the Beaufort War Hospital. Agnes began her nursing career at the 2nd Birmingham War Hospital, Northfields on the 24th May 1915 where she signed on for a year’s contract and then asked permission to leave for a civil post in May 1916, which was approved. We do not know where she went for this year, but by November 1916 she wrote a letter to re-enter the Queen Alexandra Imperial Military Nursing Service. Since leaving the Birmingham Military Hospital I have been doing ward sisters duties but I feel that I ought to be doing military work as there is such a great need for nurses. She was accepted back into the service and on the 12th December 1916 she wrote a letter regarding her uniform. Caps, aprons, collars and cuffs are still in very good condition, also the three print dresses except a little worn at the cuffs. The grey hat (straw) is rather shabby except the band which will do quite well…. Dear Sir, Pardon me for taking up your valuable time by writing to you, but I should be grateful if you would advise me what to do in the following difficulty…..since being demobilised I have experienced great difficulty in obtaining a post and I have spent considerable time and money on applications and I cannot understand it. There is no reply to this letter in her service file, and we do not know the end of the story of Agnes Mary Witts, but her autograph book survives with some sweet sentiments from her colleagues and patients at the Birmingham Military Hospital, and of course from the Beaufort War Hospital.